Father of Autistic Child Faces Deportation From U.S.
A Queens, New York, man is asking federal authorities to delay his deportation to Bangladesh as he and his family sort out what to do for his 15-year-old daughter who suffers from a severe form of autism. Mohammed Ambia, the child’s main caregiver, was being held at a detention facility in Arizona as of Thursday afternoon and could be deported any day, his attorney, Lorenz Wolffers, told NBC News. “My focus right now is really to provide a secure environment for the daughter and to keep him here so he can arrange for that,” said Wolffers, who filed requests on behalf of Ambia with Immigration and Customs Enforcement (ICE), one of which could grant him an additional 12 months in the United States. Ambia, 57, was taken into custody last month at Federal Plaza in Lower Manhattan during a regular visit with immigration officials, according to Wolffers. Living in New York on an “order of supervision,” he was required to attend those meetings after being found eligible for removal in 2009, Wolffers said. Ambia had overstayed a visitor's visa he’d used to enter the United States, where he’s lived since the early-to-mid ’90s, according to his attorney. In 2006, he was sentenced to 12 months probation after being convicted of trying to obtain a fake ID to visit his cancer-striken father in Bangladesh, Wolffers said. “My client cooperated with law enforcement to get the ringleaders [of the scheme] indicted,” he added. It’s been almost a month since Ambia, a waiter at a midtown Manhattan hotel, has been separated from his 15-year-old daughter Faeeza, who was born in the U.S. and whose autism requires round-the-clock supervision, Wolffers said. That responsibility has shifted to 24-year-old daughter Fariha, who is in the U.S. on a student visa, and 19-year-old Mohammed, a U.S. citizen, he said. Both are in college. Their mom does not live in New York since she returned to Bangladesh in 2008 to provide for her own ailing mother, Wolffers said. Like her husband, she too had overstayed her visa and was denied one to return to the U.S., according to Wolffers. Wolffers said he doesn’t know exactly why Ambia was picked up now. “The enforcement priorities have clearly changed from going back to 2016, when it really was about people who were considered to be a threat, to now where everybody who is here illegally and has any type of criminal background is subject to removal and is considered an enforcement priority,” he said. ICE officials told NBC News it did not comment on “specific removal arrangements prior to an individual’s successful repatriation” for security and privacy reasons. A pair of executive orders signed by President Donald Trump just days into office have sown fear in immigrant communities across the U.S., leaving some to wonder and worry whether they might be targeted for removal. Under former President Barack Obama, agents were instructed to focus on recent border crossers and immigrants who committed serious crimes, both of whom ICE deported in large numbers. Removals of individuals arrested by ICE rose by 34 percent between Jan. 22 and Sept. 2, 2017, compared to roughly the same period last year, according to ICE figures. Agents arrested 97,482 people during those nearly eight months, according to ICE officials, a 43 percent increase from the same period last year. While convicted criminals taken into custody by ICE during that 2017 period went up by around 19 percent, those considered “non-criminal immigration violator[s]” shot up by almost 180 percent, compared to the same time last year, ICE figures show. 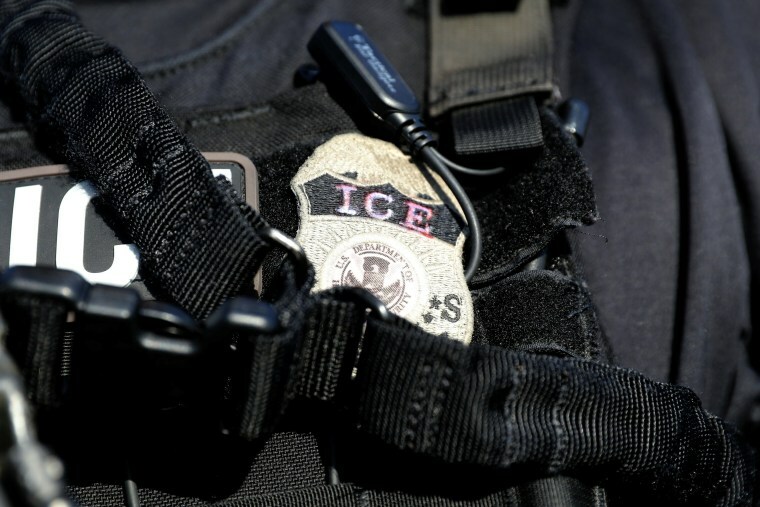 “ICE continues to effectively enforce the nation’s immigration laws, a fact clearly demonstrated by the over 30 [percent] increase in removals stemming from ICE arrests since the executive orders,” ICE officials said. For Ambia, the regular appeals process was long closed when Wolffers took on his case just two weeks ago, according to his attorney. Wolffers said he has submitted two filings on Ambia’s behalf. The first was a “stay of removal” with the ICE office in New York, asking Ambia not be deported for humanitarian reasons and be given 12 months extra time in the U.S. to make arrangements for his daughter, according to Wolffers. The other was a request for humanitarian parole, made with ICE headquarters in Washington, D.C. “[It] is not a visa but something similar to a visa, which would provide him some sort of status, basically,” he said. Faeeza’s condition worsened, prompting the Ambias to bring her back to the U.S in 2014 so she could attend a special needs school in New York, according to Wolffers. As Ambia awaits his fate, his two eldest children have been considering taking on part-time work to help make ends meet, Wolffers said.